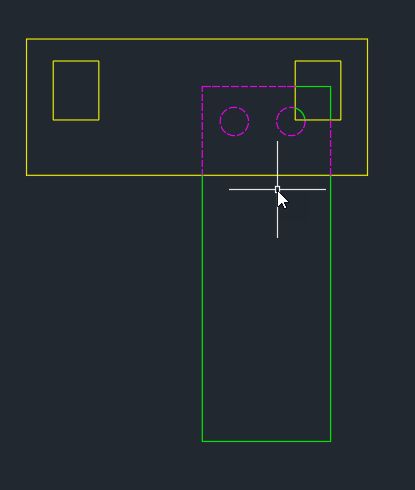 One of my favourite commands in AutoCAD Mechanical is the associative hide command. This is the ability to show hidden detail and when you make changes there is no rework that needs to be done. 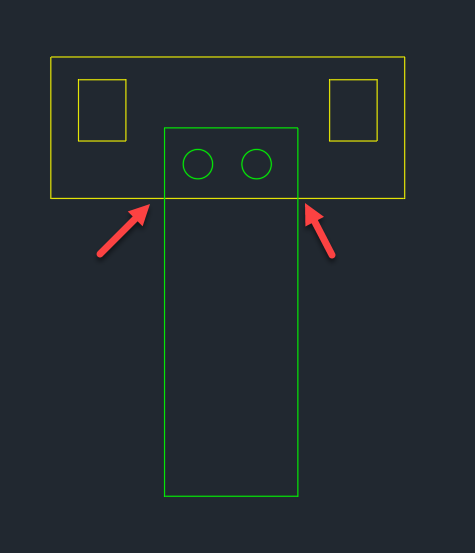 Let me give you an example of how you would show hidden detail in normal AutoCAD. If the green plate is below the yellow plate we would have to show the 2 green circles and the top part of the green rectangle in hidden detail lines. 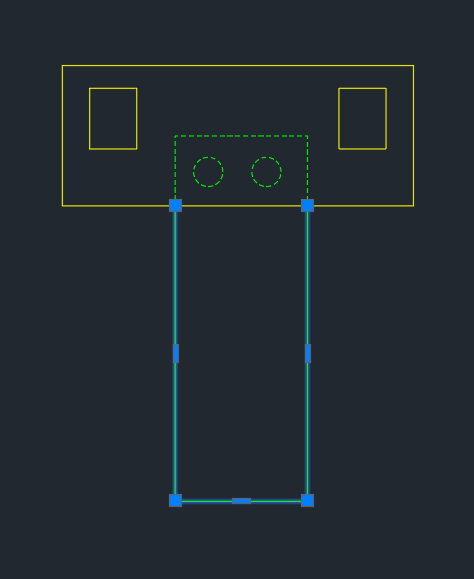 The method for this is to split the green lines where the arrows are, effectively breaking up the rectangle into 2 entities. You would then change the linetype properties of the top green lines and circle to a dashed look. Pretty simple I would say but what if you move the plate? We are going to have to break some lines and join some lines and also change some linetypes back to bylayer. Pretty messy. 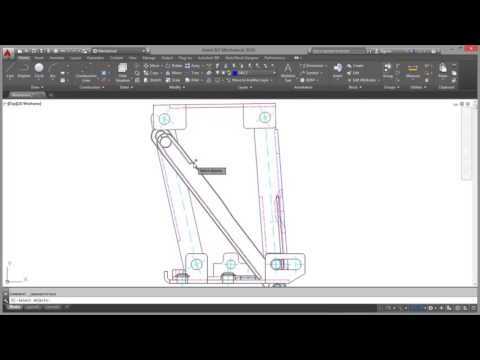 So what can AutoCAD Mechanical do for us. 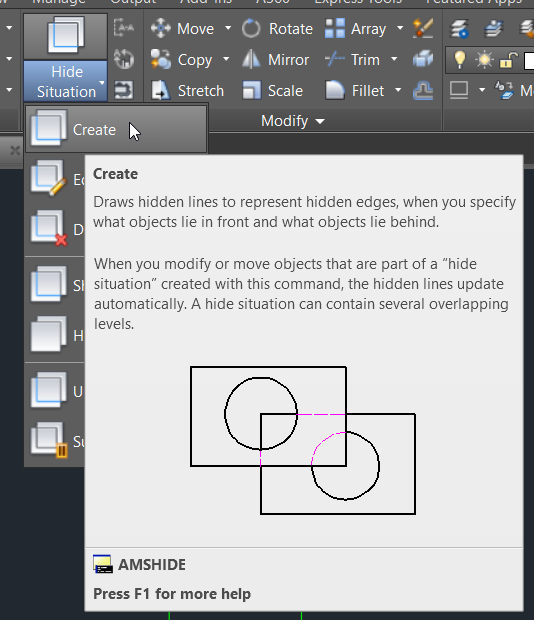 This function allows us to specify what lines are hidden and what they are hidden behind. 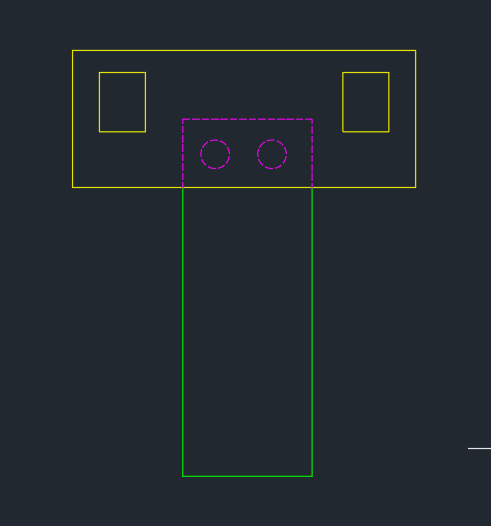 So let’s look at the same scenario but with AutoCAD Mechanical. 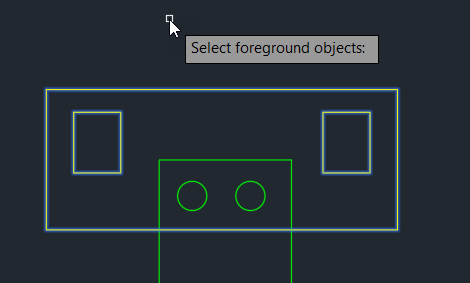 Select Foreground objects and press enter when done. 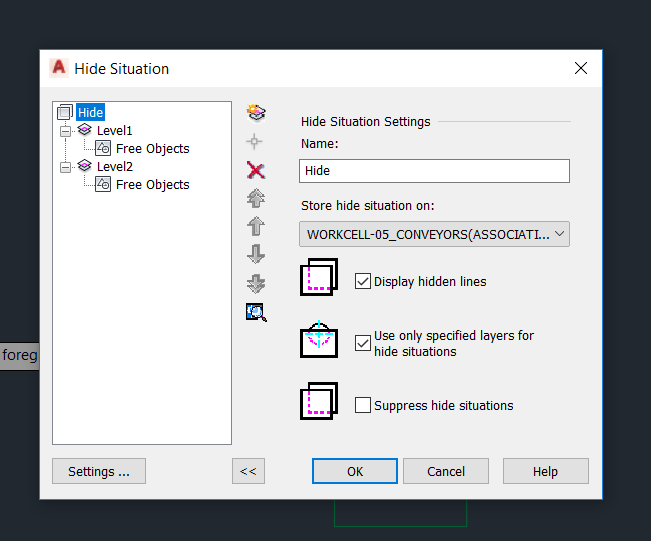 This dialog box pops up telling us how many levels we have and how the hidden detail should look.You can also name the hide situation for easier lookup later. Okay you say, but I could get the same result as when I use AutoCAD. Let’s see what happens when you move the object. Notice the colour of the objects in the rectangle on the right hand side. It has changed back to the colour green. 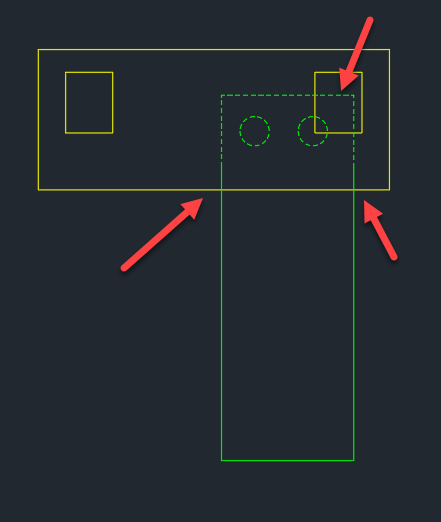 This is with no additional joining and breaking at point, showing us that it is much easier to use AutoCAD Mechanical than AutoCAD with this associative hide.